Our latest photo report brings us back to the Magic Kingdom as closures and refurbishments begin to takeover for the rather short off-season in Orlando. I decided to rope drop the park earlier this week to see how the morning now unfolds with the moving of the welcome show and the opening of Main Street a full hour earlier. The Walt Disney World Railroad was actively being worked on as we walked by. Only the centralized security checkpoint was in use prior to park opening. The Walt Disney World Railroad is closed for refurbishment and a large tarp covers the train station currently. 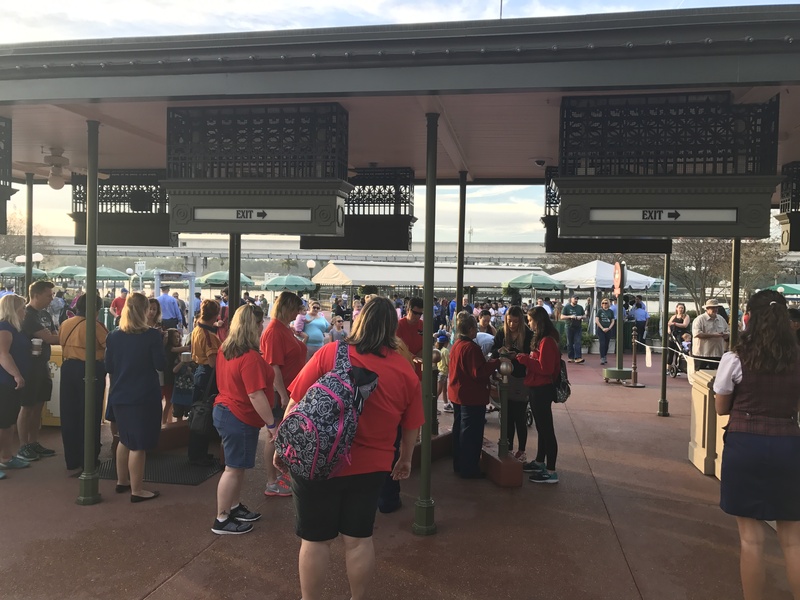 Annual Passholder entry lines are still in place, but sometimes can be longer than the regular entrance lines during this time of year with less tourists and more of the locals and annual visitors coming to the parks. A number of stores and restaurants are open starting at 7:50AM (with a 9am park opening). The meet and greets are not open, but the PhotoPass area and Curtain Call Collectibles are. The Emporium is open while work is done to the facade. The Confectionery is also open at this time. The Art of Disney and Uptown Jewelers do not open until the park does however. The Emporium is open though. Crowds were pretty light until about 8:45am. 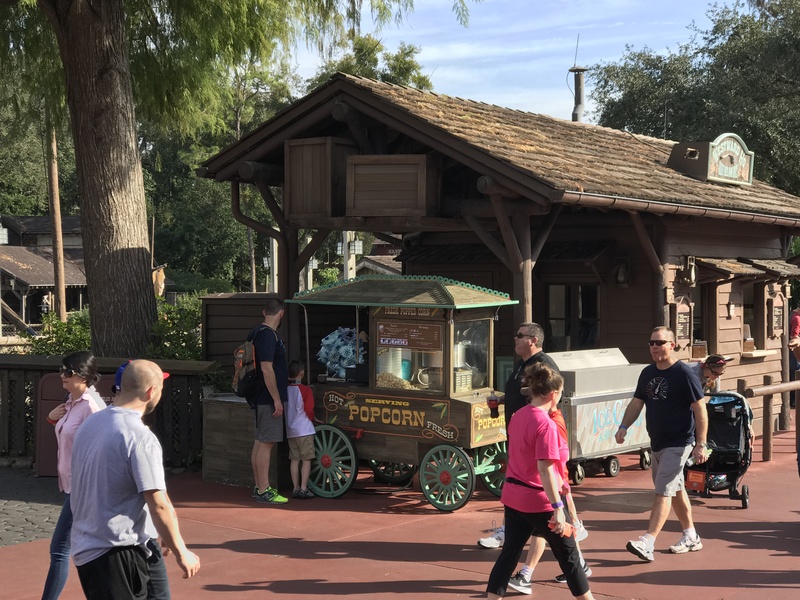 The Crystal Arts shop opens with the rest of the park. Of course, the Main Street Bakery Starbucks is open for breakfast. Lines were not unreasonable inside at around 8:20AM. 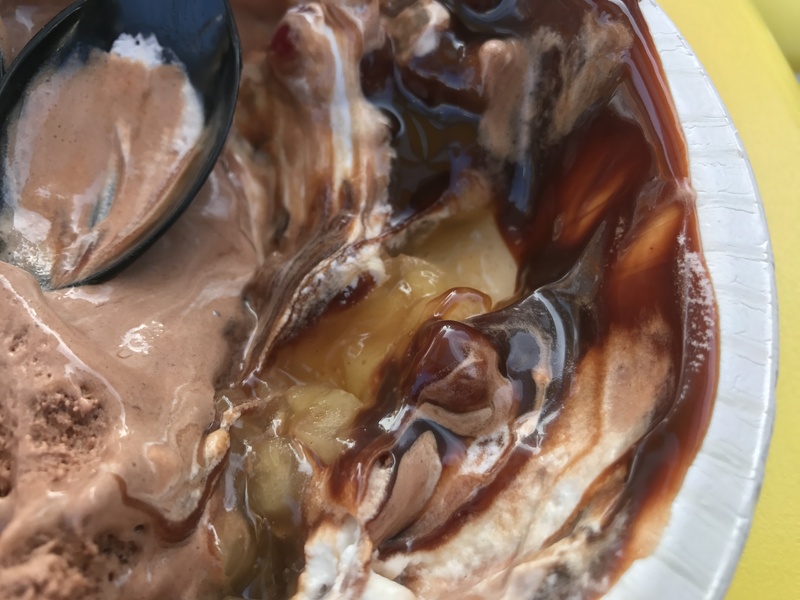 The Plaza Ice Cream Parlor is open for breakfast, serving Mickey Waffles, a doughnut sundae, and a variety of other items. 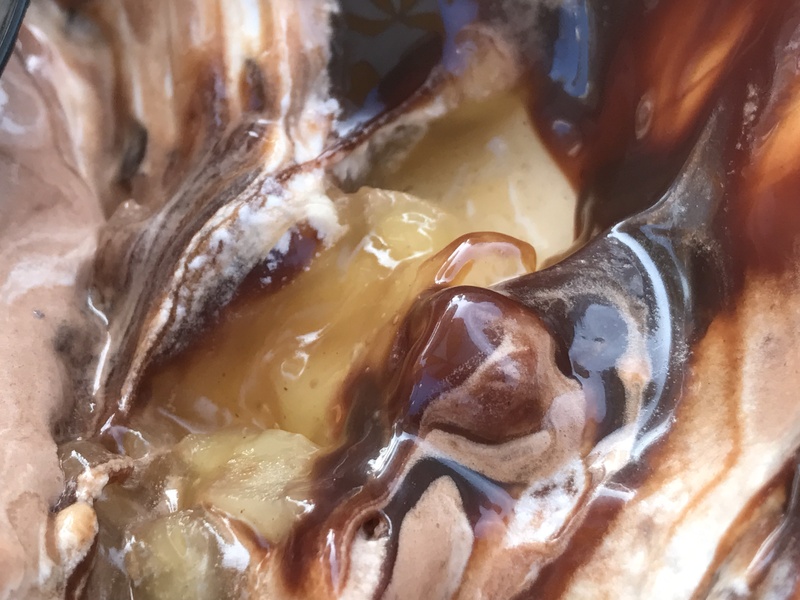 Be sure to check out our in-depth review of the new breakfast items here. Casey’s Corner is also open for breakfast (and covered in the review linked above). We walked up to the Castle around 8:50AM and things were still pretty manageable. Guests pretty much jam the walkway to the Mad Tea Party in hopes of garnering a short wait for the Seven Dwarfs Mine Train. If you aren’t near the front of this pack, don’t even bother. We elected to wait about two people deep on one of the walkways through the Castle. “Let the Magic Begins” starts at 8:55AM. Once it is over the characters are allowed to vacate the stage, and then guests are walked up the Castle walkways slowly until they merge at the top before going through. I was astonished at the ability of the cast to ensure that one path did not get anywhere faster than another, as once we go through the Castle, we merged seamlessly with those who tried to go around the Castle moat, down the side path between Liberty Square and Fantasyland. We then even were given the opportunity to catch up with some guests on their way to Peter Pan’s Flight (I assume from Be Our Guest breakfast), and we were all then released to go to the ride. I was amazed as the efficiency of the process, far more organized than I would ever give modern park operations credit for. We ended up waiting about 9 minutes for Peter Pan’s Flight, even while stopping for a few photos on the way. By the time we exited, the wait was at 40 minutes though. The Seven Dwarfs Mine Train line was a pretty big disaster after rope drop. We elected to do Winnie the Pooh next and waited about 12 minutes for that. Notice something out of place? One unfortunate couple got stuck in the middle. We elected to do The Haunted Mansion next and our wait was far shorter than 15 minutes. The Hall of Presidents is now closed to add President Donald Trump (which can now be said officially). It will reopen around July 4th weekend this year. 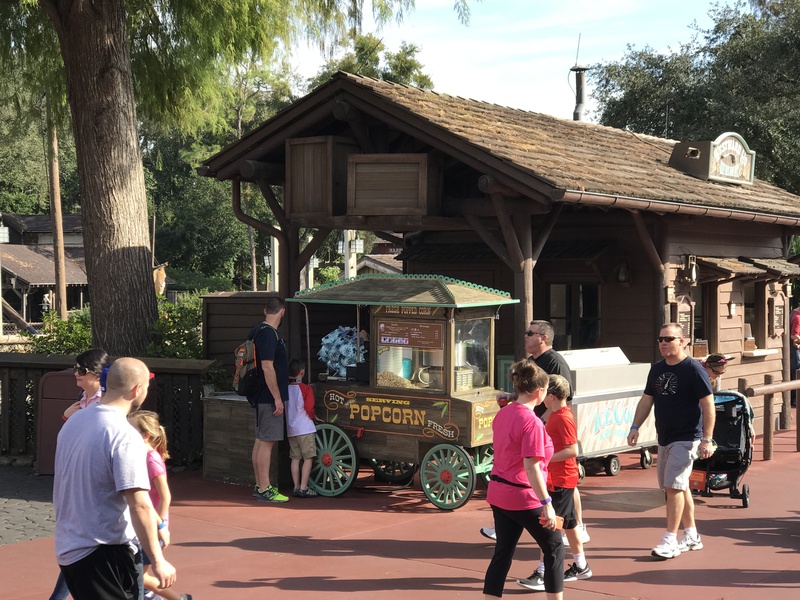 The breakfast waffle sandwich has not yet appeared at Sleepy Hollow Refreshments. There is a owl post with trading pins at the Frontierland Trading Post. Al the Owl who guards the post is my new spirit animal. I hope his last name is Woll. Get it? Al Woll? The Country Bear Jamboree does not open until 11 am. Muffins and coffee are available at Westward Ho. Next door, the popcorn cart now sells Maple Popcorn rather than regular buttered popcorn. Be sure to read our review of this new flavoring here. Many of the merchandise fixtures remain, but are covered up. The Cool Ship and Cool Scanner are now behind walls, so maybe this will be the Magic Kingdom Joffrey’s location? A Jumbo Mickey Mouse Talking Figure was just released in the parks. His wand lights up and he speaks, but he also has movement using a handle on his back. A series of VHS themed (kids, look it up) notepads were also released. The front and back pages have pictures of a VHS tape ion the clamshell case. The interior features both graph paper pages and notepad pages. They are a little pricey at $14.99. The limited edition Lady and the Tramp Valentine’s day MagicBand 2 is on sale. Some new Twenty-Eight and Main shirts on sale. Excellent update, thank you. Boy I miss Disney. See you in July Mickey. Thanks for the update though! No more chicken sandwich waffle at Sleepy Hollow? Pete, your being Mr. Negative again. Jack Tripper, you’re being Mr Naive again. CM’s know the cabanas are coming back. They just took away the temporary ones. The cabanas went away just like Disney After Hours did. Aren’t those back too or am I being negative? Going in mid may for first time in 20+ years. Shame the hall of presidents will be closed. Over 20 years? Boy you’re sure in for a surprise. I’m sure we are. My Aunt and Fiancée have never been so it’ll be an interesting week. 20 years? Save your money. Nothing at Magic Kingdom will be 1/10th the quality, value or experience of even 10 years ago. Or if want to see what would be similar to what you saw, go to Shanghai Disney. 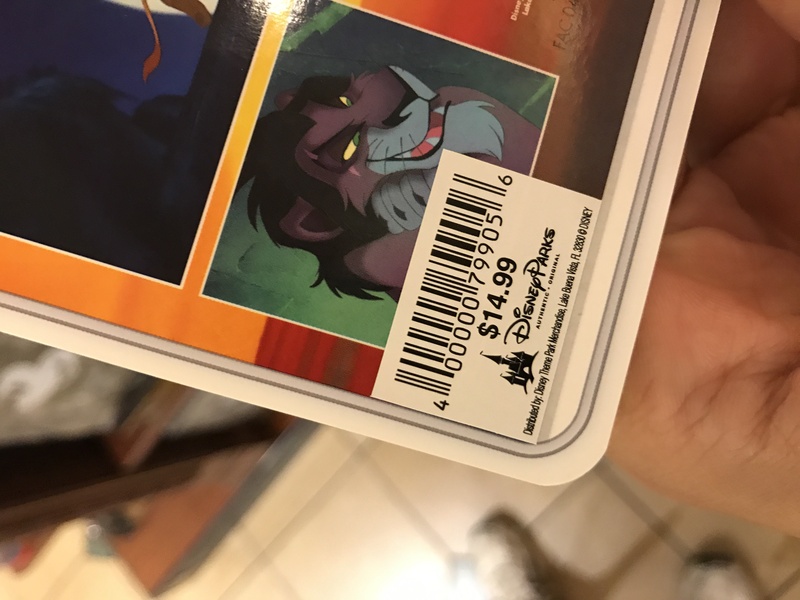 It’s not run by Disney, and they aren’t disgustingly cheap. WDW Florida as can see from reports is mostly stores of cheap trinkets and horrible quality food that would leave you begging for a dirty fast food chain. Sadly true. Not negative…accurate. Since my Aunt and Fiancée haven’t been it’ll be worth it just to see their smiles. That’s the point sadly. Unless they smile in long lines, few attractions or shows left open, being hollered at to move and pack more tightly into crowds, and sub McDonalds quality food at Ruth’s Chris pricing, not likely to see many smiles. Florida has many other great attractions besides theme parks though. Awe I feel for you. As optimistic as I am, the grandiosity of WDW is there, but it’s a money grab factory of lines and places you can see how it’s not well run, and they just don’t care. Period. We took my grandparents, uncle and youngest (7 and 4), and the “Reunion Resort” where we stayed pool and golf was the smile maker over ANYTHING Disney World. And we are all fans! Was our first visit in 4 years. Huge diff. They have problems.